A web design is said to be the most complex method that supports the communication process throughout the globe. Hence, the usability, content, visibility, and appearance are the essential aspects which a Freelance Web Designer must consider at the time of designing a particular website. This means that the information and materials projected on the site must be targeted and relevant to the website’s concerned or target group. Also, the website requires having a user-friendly interface along with a simple and reliable navigation structure. A single styled graphics and text must be utilized at the time of designing the interface so as to endow maximum level of comfort to the user of the website. An appealing, relevant and professional manner of designing is needed. Moreover, measures of SEO or Search Engine Optimisation must be taken into consideration for the purpose of elevating the search-oriented visibility and for the relevancy of the keywords present in the site. There are various advantages of working with a freelance website designer to maintain or build your website. This is generally due to the reason that a Freelance Web Designer work on their own, making them highly flexible in comparison to the traditional website design organization in a splendid number of ways. If you are in the marketplace to structure a brand new website design or to update your existing website, then there include a great option for you to hire a freelancer to conduct your work as it will be easier, less costly, highly innovative and simpler in all aspect in comparison to the website designing company. You must notice that the small agencies generally have a good list of freelancers that are outsourced for finishing their development work. Technically, the process of designing is conveyed by the freelance workforce, as it is a decision in relation to cost saving if a company hires a freelance website designer from the very start. Besides, because of the overhead costs and the support of the staff, a web designing company is most unlikely to provide you with cheap services, while no workspace and no staffs endows the freelancer with a chance to keep the hour oriented rate low. Also, the freelance work vouches for you to have a better budgeting and good cost control at the time when you are supposed to hire a web designer. Big companies are greatly interested in the big projects because of their meager scalable services. This is the reason why they consider the small projects less profitable. However, on the contrary, a freelance website designer is always ready to finish all the sized projects and conveys your custom services efficiently. The freelancer is not only well suited for the individual requirements of the clients but also assist with the project cost management, catering you with an effective ways of cutting down the costs. The essential asset of a freelancer is “flexibility”. In contrary to the distinct web designing companies and the agencies, a freelance website designer offers you with a flexible service so as to make sure that it suits your requirements completely. Also, freelancers are able to conduct their work out of norm hours if needed as they design their schedule in a proper manner so as to quickly finish their work. Listed below are three distinct arguments stating the reason as “why you must hire a freelance website designer”. The freelance website designers are generally self-employed staffs who are charged in relation to the results of the work submitted by them on or before the deadline. A freelance website designer returns your relevant calls and treats you with great respect in an attempt to leave a nice impression. Ultimately, freelance website designers are generally interested in putting forth their best attempt to keep your overall business running efficiently as it is you who is putting good food on their dining table. Generally, most of the freelance website designers have fewer amounts of overhead costs as they work from their home. Often times, a freelancer can effectively pass the savings onto the clients and still garner a great income. Moreover, when you hire a Freelance Web Designer, you are not paying him for the pool table, company office, gym membership or the annual vacations. You completely pay him for the work he will conduct on your website. A freelance website designer makes apt decisions and right moves in comparison to an exceedingly large design picture. Revisions in relation to the designs can happen quickly when you have only one person working and coordinating on the same. Moreover, as the freelancers station their hours, there involves a great possibility for them to work for longer hours so as to finish your project on or before time. Also, you must be sure to ask them politely and nicely. Most of the freelancers wear distinct hats at the time of structuring their website. This includes a great graphic design, photography, copywriting, UX and UI designing and many more. A single person completely working on all the efficient aspects of your site can assist you to keep your website’s tone and design consistent throughout. For any website to effectively work, all of the distinct parts require functioning in a fine manner. A particular individual structuring and working on a website can help to make it happen without failure. At the time when you work with a Freelance Web Designer, you deal with specific or single contact, not various departments. This act generally translates into a direct communication which is hassle-free for you. The effective key here is that you must make sure that your freelancer is responsive to the calls and emails at the initial phase of contact. The design quality which you receive both from the creative agencies and freelancers vary to a great extent. You must always make sure to thoroughly check the freelancer’s or the agencies portfolio to understand and grok whether you like their designing or not. In the world of web design, the business size has no kind of correlation basis the quality of the delivered work. Few of the large website designing companies has a portfolio which is near to horrible. The quality of work that you get from the freelancer or agency is highly dependent upon the nature of the company or the particular individual, respectively. It is considered possible to figure out a Freelance Web Designer who can deliver you a high-quality work at a justifiable cost in comparison to the large organization or company. There include several advantages of working with a freelancer. Where an outdated traditional designing organization offers a team of experts, a freelance website designer can feasibly work on distinct aspects of your company’s website. 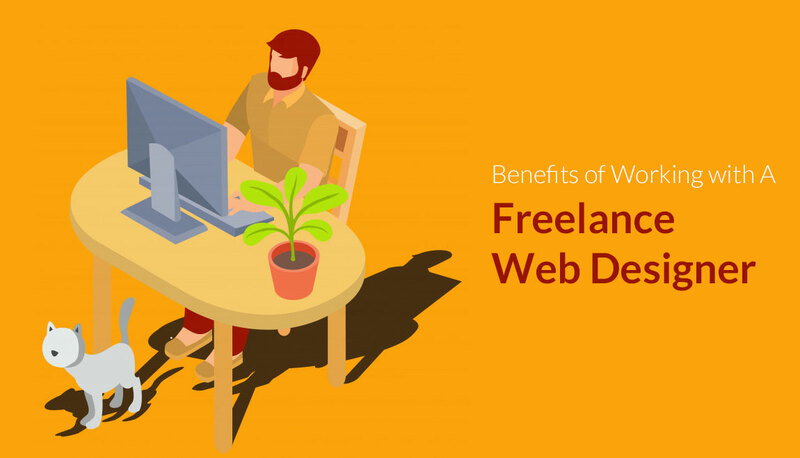 The flexible schedule and reduced overhead of the Freelance Web Designer yield cost-effective project which he does effectively faster without sacrificing on the quality you would have expected from a finely experienced firm.